Hero Blog: I appreciate it from the bottom of my heart. 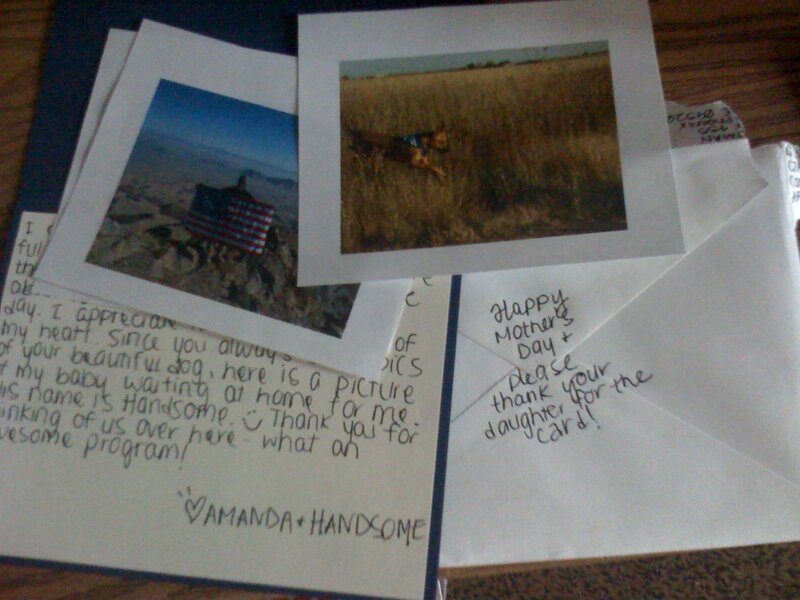 I cannot tell you how much these thoughtful and beautiful cards mean to me. I share them with my office and no kidding write about 10 cards to family/friends a day. I appreciate it from the bottom of my heart. Since you always send pics of your beautiful dog, here is a picture of my baby waiting at home for me. His name is Handsome :) Thank you for thinking of us over here - what an awesome program!